With my boys having an impromptu weekend at my folks’ and my girls being old enough to be somewhat self-sufficient I had an unexpected chance to get back on the water. Two trips in five days is not the norm so it was quite an exciting last minute development with the scoop to follow. Shaky Start – So I overslept my 5:05am alarm and woke up at 5:55am instead. I then made the insides for breakfast burritos only to discover we had no tortillas. Upon arriving at the strip mines I fished a pair of proven lakes for roughly an hour and failed to get a bite. I was beginning to worry as I had to hit the road for a band event at about 11:35am and was sitting on a shutout with about an hour to go. Lake Reliable – If I hadn’t already given this lake a name, Reliable would fit the bill. 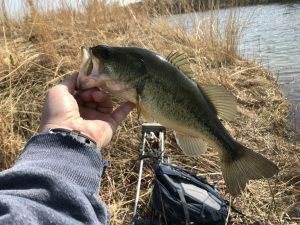 My favorite spot actually goes by “2×4 Lake” (yeah, I made that up just like 20 or so other lakes on the site) and it came through after about five minutes of unsuccessfully casting a chatterbait. 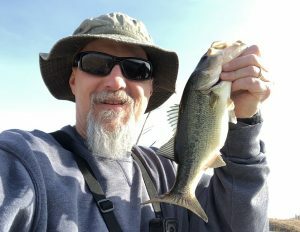 I switched up to a jig and what do you know, first cast bass. I thought, “Okay, now I’m onto something.” Didn’t get another bite for over an hour. 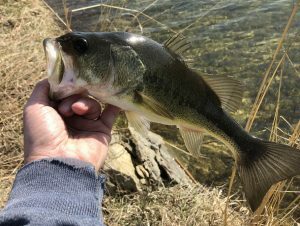 Clutch Bite – With about ten minutes remaining before taking the ten minute walk back to the truck I managed to get my second bite which turned out to be Top Bass of the day. This one also came on the jig and left me feeling a little better about a tough morning and a likely return trip in the afternoon. 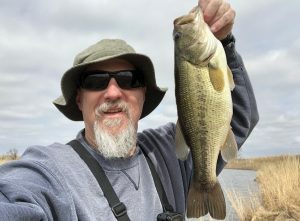 Dink Afternoon – While the return trip saw a significant uptick in numbers (14 versus 2), I continue to struggle to find many quality bites. 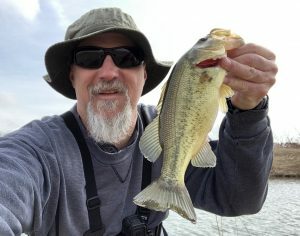 I did manage to post a daily Top 5 but only one qualified for my 2019 Top 5 and the others all came in the lower one-pound range. Good to get bit nevertheless but still searching for some jarring hooksets and line stripping runs.